"Cars that used to be an assembly of mechanical parts have now become a software programme. Our business has to develop as this digitisation advance, to harness new skills such as simulation, cybersecurity, etc." According to the standards defined by the Organisation internationale des constructeurs automobiles (Society of Automotive Engineers), six degrees of autonomy separate the traditional cars that our parents knew from fully self-driving vehicles that need no input from a human being. There is still a long way to go before they can take off, but the ecosystem is getting ready for their development. This is demonstrated by the work being done by UTAC CERAM, the global reference for vehicle testing and certification (in particular, self-driving vehicles). Featured in science-fiction stories and films (usually flying! ), self-driving cars are now becoming a reality. 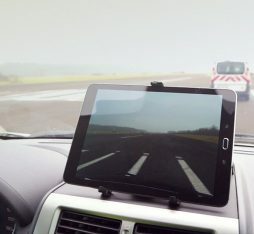 Autonomous “bricks” are now an on-board feature in new-generation cars, in the form of driver aids such as speed regulators, lane departure warning, and autonomous parking. First and foremost is safety. Despite these initial features, which are now mainstream, drivers have to remain watchful and be able to take control of the vehicle at any time. These features are classified as level 2 in the European standard for vehicle autonomy. This scale has 6 levels – from the most basic where the user keeps complete control of all vehicle functions, to the most advanced where the vehicle doesn’t need a driver at all. All self-driving specifications ultimately converge on one key factor: safety. This is the central focus of the UTAC CERAM Group’s activity and responsibility. Its business was historically the certification of road vehicles. Features of self-driving or smart vehicles – whether for users (driver assistance, web navigation, etc.) or manufacturers (over-the-air updates) are based on connectivity. This is a new challenge for players in the automotive industry, which requires outside expertise. It is with this in mind that UTAC CERAM and Orange have forged a partnership for this purpose. They have teamed up at the Linas-Montlhéry test centre to trial 4G/5G and Wi-Fi roaming solutions – which are absolutely essential to the success of self-driving vehicles. Orange will, in particular, be providing 4G+ broadband at the site, before rolling out its experimental 5G mobile infrastructure. 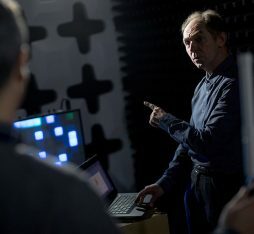 On one hand, UTAC CERAM Group will develop tests for self-driving cars, while Orange will have a full-scale test track to trial and test the bricks of future 5G networks. This cutting-edge test centre designed by UTAC CERAM with six scenario-tracks for self-driving cars (ranging from a 2.2 km motorway with toll booth and tunnel, to city traffic), has already attracted many investors. In fact, the self-driving vehicle ecosystem extends far beyond car makers and parts manufacturers, and embraces digital and hi-tech operators. UTEC-CERAM’s goal is to bring together this entire ecosystem, reaching out even to start-ups who will develop services for self-driving vehicles. “TEQMO’s aim is to be a French centre of excellence and a hub where manufacturers, parts makers, software providers, operators and start-ups, will have complete freedom to contribute to developing self-driving vehicles. 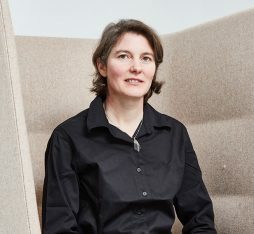 It is for this reason, and with the aim of operating the most advanced and continuously updated centre, that we are establishing wide-ranging partnerships with key players respected in their fields, such as Colas for road surfacing, Here for digital mapping, and Orange for connectivity,” says Laurent Benoit.